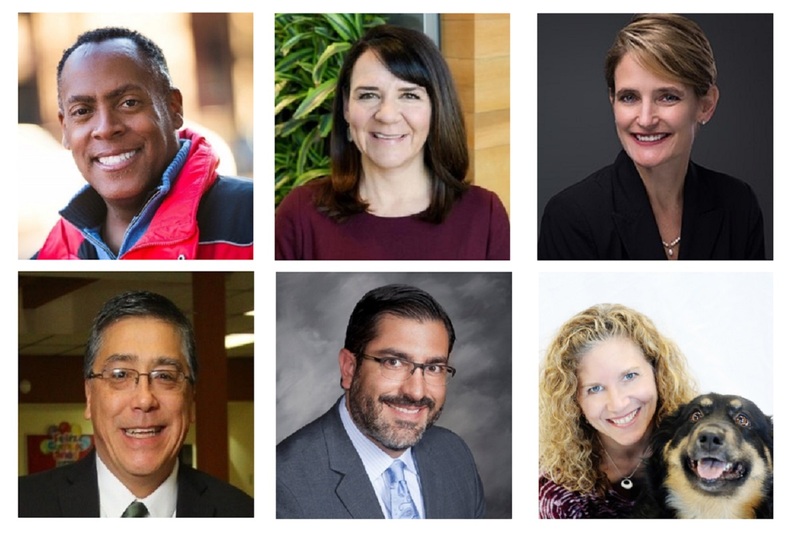 DENVER, COLO. (March 29, 2018) – Colorado Nonprofit Association announces the addition of six individuals to its board of directors. The Association’s current board of directors and its membership officially elected the new members at the 2018 Annual Meeting. The 2018 new directors represent a variety of industries and communities across the state of Colorado, and bring with them a wealth of knowledge and experience working within, alongside and on behalf of the nonprofit sector. Latham has been with the Colorado Health Foundation since 2008, serving as a portfolio director and a program officer before becoming vice president of philanthropy in 2015. Amy and her staff are focused on creating opportunities for health across Colorado through funding initiatives and programs, partnerships, grants that support innovative ideas, and community engagement. Liebert is a Colorado Springs native, a recognized “Leader in Colorado” by the Beanstalk Foundation, and a 2016 Rising Star Award recipient by the Colorado Springs Business Journal. In his current position since June 2015, Jonathan has increased awareness of the importance of integrity and trust in business, and has revitalized the BBB brand that has played a crucial role in the Colorado Springs community for more than 35 years. In addition, Liebert is currently building the Colorado Institute for Social Impact which seeks to educate organizations on the power of the emerging Fourth Sector of the economy and uses entrepreneurial strategies to solve local social issues. Lopez is currently working on a sustainable model for the Teen Tech Academy that serves the rural market of the San Luis Valley in south-central Colorado. In addition, he is dedicated to expanding Zepol Media Partners, LLC, a boutique communications firm he co-founded in 2011. His expertise is broad and ranges from executive management and organizational restructuring, to media relations and crisis management, to nonprofit development and fundraising. In her role with Cornerstone Capital Group, Pease helps develop and monitor impact strategies and provides contributions to Cornerstone's professional research team. Previously, Pease served as the Principal of KP Advisors, Inc., whose mission is to help foundations, nonprofits and investors develop thoughtful, innovative approaches to address the challenges they care most about by using a variety of types of capital and other resources to make the world more just, fair and equitable. She has a wealth of knowledge and expertise working within and alongside the nonprofit sector and also shares her experiences as a professor at the University of Colorado Denver. Pedersen has served as the CEO for the Boulder Valley Humane Society for more than 10 years, moving into the role from Development Director. She is a well-respected leader in the Boulder community and has built a strong, innovative organization. She has lead statewide public policy legislation through the Colorado Federation of Animal Welfare Agencies.. She is dedicated to bringing energy, ideas, thoughtfulness and a collaborative spirit to her civic leadership. Prior to his position at City Year, Price served as the District Director for the 1st Congressional District of Colorado (US House of Representatives). In addition, Price previously served as the National Program Officer for the Gill Foundation and as the Director of University and College Relations at the Daniels Fund. Price also spent 15 years in higher education, including holding the position of Associate Dean and Director of Admission with the University of Denver. For more information about Colorado Nonprofit Association and for the full list of board members and officers, visit www.coloradononprofits.org.